It’s finally arrived Edmonton. The 2018 Lexus RX 350 L is here and ready to meet your seven-passenger needs. Here is everything you need to know about this new three-row SUV and why it’s the perfect fit for every family. Lexus has elongated the RX 350 body by 4.3 inches in order to accommodate a third-row seat. And while the wheelbase is the same as the two-row version, Lexus has also redesigned the rear tailgate. That means the RX 350 L fits more passengers while maintaining its sleek lines and luxurious design. The standard version of the RX 350 seats up to five but Lexus has always toyed with the idea of making their popular SUV more accommodating for bigger families. Thus, the L was born with enough room for seven! Passengers can access the third-row from either side of the vehicle by pressing a lever. There is also the option for a six-passenger RX L model that will have feature captain’s chairs in the middle. Besides the extra room for passengers, the RX 350 L is still the same Lexus SUV you know and love. Under the hood, buyers will find a 290 horsepower, 3.5-litre V6 engine paired with an eight-speed automatic. 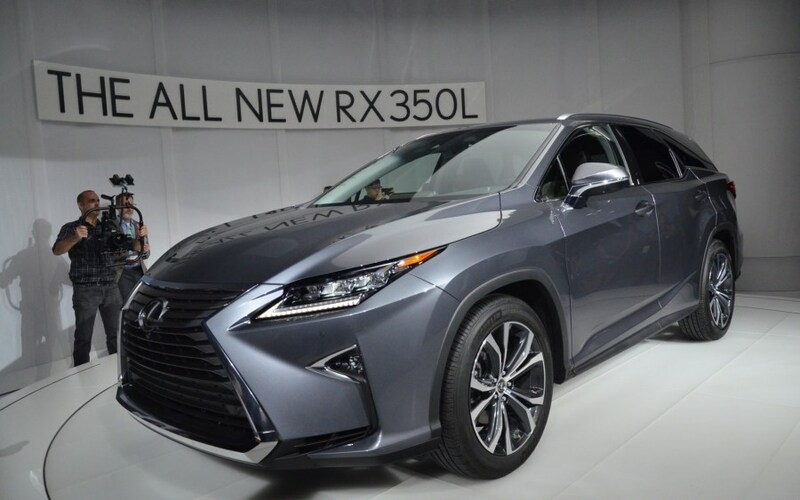 You have the option between front and all-wheel drive – AND, if you want more oomph you can opt for the RX 450 L which puts out 308 horsepower when coupled with a continuously variable transmission. If you are interested in the RX 350 L, chances are you are transporting some precious cargo. Not to worry, Lexus has you covered. The luxury third-row SUV comes with the standard Lexus Safety System, including automatic emergency braking and lane-keeping assist. Lexus has made three-row climate control standard so all passengers can ride in comfort. And for those who need the extra space, the third-row folds over revealing more than enough cargo capacity for groceries, the kid’s hockey bags, luggage, etc. Interested? Want to pre-order the Lexus RX 350 L? Call +1 (555) 989-2222 or send us a message! The RX 350 is expected to arrive at Lexus South Pointe spring 2018.